Passionate. Driven. Sensitive. (Or hotheaded, single-minded and labile, depending on how you want to look at it J). 2. Tell us a little about Indigo Blackwood. Indie’s a popular high school cheerleader with hot football-star boyfriend and a sarcastic sense of humor. But behind the cool-girl exterior, she’s also got a huge heart. 3. If you were to brew a potion, what would it be? I want to say a health potion but that would be boring, so how about an illusion potion? A potion that gives the illusion of a showered, well-dressed, polished author so that I don’t have to go to all the effort of bathing and dressing in the morning . . . or something else less lazy and gross. 4. What's your next project? 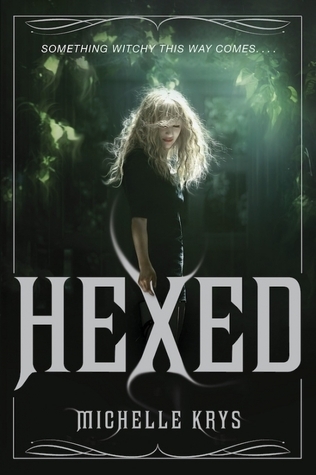 My next project is the currently-untitled sequel to HEXED. It comes out in 2015. I’m also working on a YA sci-fi romance set in the East Coast of Canada that I’m really, really excited about. 5. If you could visit any place in the world, where would you choose to go? Oooh! I want to read this!! Hah, how excellent! I actually wouldn't mind an illusion potion myself. I have a soft spot for witches and HExed sounds lovely! Can't wait to read it. I remember seeing this on Cover Snark (run by Christina @ A Reader of Fictions), and I like it! Especially the tagline: "Something witchy this way comes...." I don't know, maybe it's the use of the word "witchy," which I have a strange fondness for, but it really makes me want to read the book. Thanks for sharing, and great interview! Gorgeous cover! I'm really looking forward to this one!